Leaving Angel Creek National Forest Campground, which was high above Wells, Nevada at 8500 feet, we drove south along Highway 93, a long lonely highway much like Highway 50. Up a rise, down a valley, two lanes, cruise control pegged at 60, speed limit 70, and semis and impatient drivers passing by just feet away from our 50-foot rig; keeping alert was paramount. To keep sharp and combat the mind-numbing recurring horizontal planes, we turned on Sirius XM and one of the stations was playing all road travel songs to celebrate the anniversary of the first interstate highway in 1953. You may remember that President Eisenhower mandated that such highways be constructed for the national defense, making it possible to travel coast to coast without a stoplight. During the Pony Express’s 19 months of operation it grossed $90,000 — and lost $200,000. News of the Confederate attack on Fort Sumter which began the Civil War was carried by Pony Express riders with pride to serve their country. The inception of the telegraph supplanted the need for a speedy mail news service. 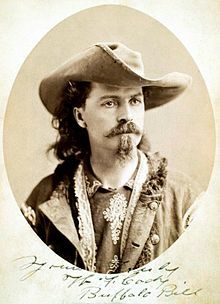 The famous William Cody, aka Buffalo Bill, rode the Pony Express for a time and made the longest ride of 322 miles over one of the most dangerous sections of the route, taking 21 hours and 41 minutes, and using 21 horses to complete his journey. There was one more small concrete post close by a larger-than-life metal sculpture of a Pony Express rider. It had the name, Lincoln Highway, imprinted on it. This was an “Aha!” moment. The Lincoln Highway never was an interstate in the mid-twentieth century definition, but it was the very first transcontinental highway inaugurated in 1913. The highway was 3,389 miles in length but in the late 20s was broken up into numbered segments as America organized its highways. Travel on this early highway was no easy feat, often taking a month or more and drawing on strong technical and navigational savvy. Lodging and fuel were sparse, initiating the advent of auto camps and a growing support infrastructure for the new, ever-wandering populace. Designers of the Lincoln Highway knew that the cost to construct such a project was monumental so they went from town to town and pitched the “seedling mile” concept. Local chambers of commerce and the well-to-do community saw an advantage to having a major highway serve their town that had only dirt roads, so the highway builders built a smooth, mile-long concrete ribbon close to their homes along the highway route. At this point, when their cars climbed up out of the muddy gumbo or winter frozen tracks, and the engine picked up speed, the car came alive and left horse-drawn power behind forever. The interstates took over the role of bi-coastal connectors and the closest we have to the grand old Lincoln is Interstate 80 from New York to San Francisco. These past couple of weeks, writing has been on hiatus due to constant moving, set up, break down, sightseeing, serious winery partying, sailing… more adventures and stories on the way!